Desert Academy, Santa Fe, USA "When you are connected on a satellite link you have to make the most of everything you have - CACHEBOX does that job." 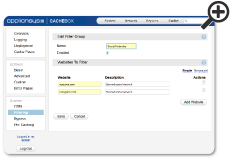 Mark Iten, Network Manager, OTZ Telephone Co-Operative, USA "CACHEBOX is running great. I pretty much don't have to touch the unit." With all your web traffic passing through a single device, caches can provide you with data and reporting tools to monitor and control your web traffic and can help you to comply with legislation on data retention. Advanced reporting features include alerts, detailed activity logs, comprehensive charts and graphs with timelines for easy monitoring. Logs can be uploaded automatically to an external file server to comply with data retention policies or enable access and interrogation by other software. 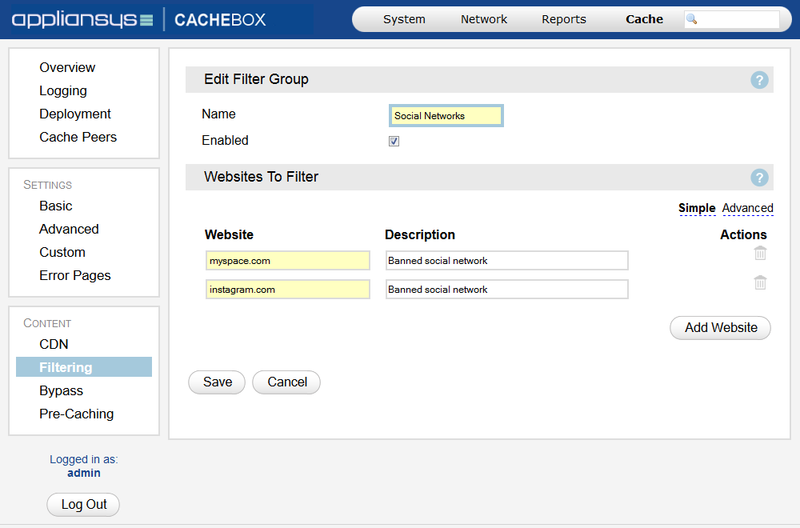 Intelligent caches such as CACHEBOX also have the ability to block or control access to certain sites. Users can be authenticated against Microsoft Active Directory (NTLM) records making it easy to use existing user profiles. The ability to monitor and control traffic is often a useful secondary benefit of web caching. In some cases, it is a key requirement or even the #1 driver. There are obvious examples in all sectors – including schools safeguarding children, enterprises monitoring employee usage and ISPs constantly seeking to optimise their traffic.